Meet Michonne (Danai Gurira) and the Governor (David Morrissey). Below is the four minutes trailer of “The Walking Dead” season 3. The trailer shows the group taking over the Prison. 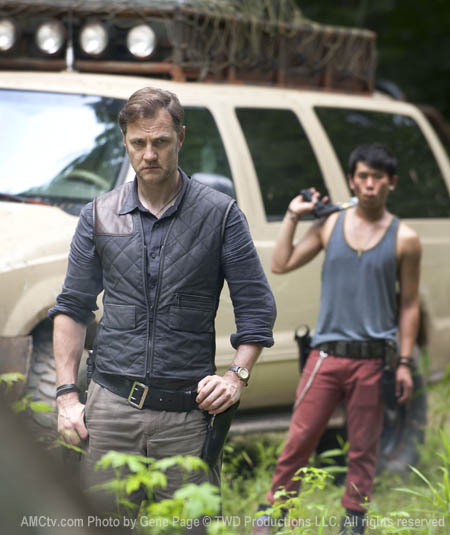 Elsewhere, Andrea and Michonne get captured by armed men and are taken to Woodbury, where they meet David Morrissey, the Governor. Watch the trailer below. “The Walking Dead” Season 3 premieres Sun., Oct. 14 at 9 p.m. ET on AMC. The singer/actress confirmed her departure on Ryan Seacrest’s radio show this morning. Just yesterday, fellow judge Steven Tyler confirmed his “Idol” exit. Related: Steven Tyler Leaving ‘American Idol’. “I have my movies and music and my this and that … and it just gets more complicated, as the kids get a little bigger. It started feeling like it was a lot, and something had to give. And that’s, I think, where I am right now, she continued. Randy Jackson is the only judge standing , with Steven Tyler and Jennifer Lopez not returning to “American Idol” next season.